I have a beautiful set of headlights that were converted to Fred's (Nine8Six) projector headlights by Particlewave. Despite the fact that the COB Angel Eyes were wired through relays, so that they operate in parking light only mode and turn off when the headlights go on, and I never drive with just the parking lights on, the Angel Eyes have still failed. This isn't a knock on anyone, this is just what happens when the COB Angel Eyes live next door to the hot projector beams in a machined aluminum casing. What I plan to eventually do is restore the parking light function to my headlights. I would like to use the original parking light hole in the headlight unit. I don't want to add an LED light in the bumper grill or anything else external. The issue I have is that the wires for the high beam/low beam shutter in the projector unit are run through the old parking light hole. The Angel Eye wires also go through that hole, but they can just be snipped. One option I have thought of is to use the original parking light sockets in the original holes. But that would involve removing the exterior headlight lenses to re-route the high beam/low beam shutter wires. I'm interested in any ideas that could be done without opening the headlights up. 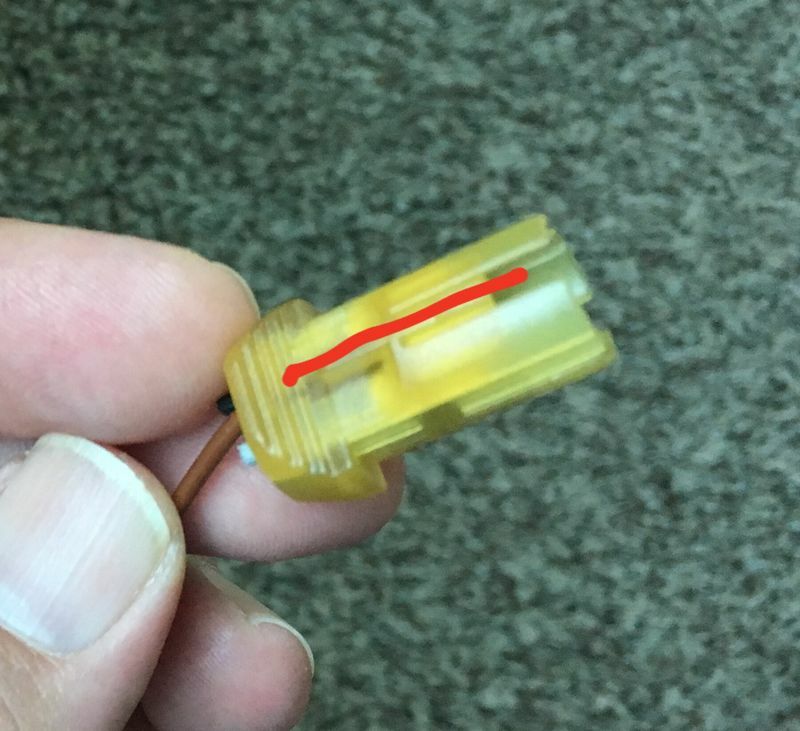 Would it be possible to notch the original parking light socket so that it could still be inserted and not interfere with the wires going through the hole? Would the parking light melt the insulation on those wires being so close together? If so, could I use an LED light which runs cooler? I would still run the parking lights through the relays so that these lights only came on in parking light only mode and turned off when the headlights are on. Any thought on this approach or other ideas would be greatly appreciated. The good news is that I live in New Jersey and this isn't an inspection issue for me. The projector beam headlights are so superior to the original halogen headlights that I will stick with them. I'd just like to eventually get parking lights back. As an aside, has anyone seen or heard from Fred/Nine8Six? His last activity on the forum was on November 14, 2017. I hope he is ok. I would definitely not put an incandescent bulb next to those wires.